Intel has released a new driver for Windows 10 64-bit users. One further restriction is that this driver is for chips from the Apollo Lake, Gemini Lake, 6th, 7th and 8th gen Core processors only. 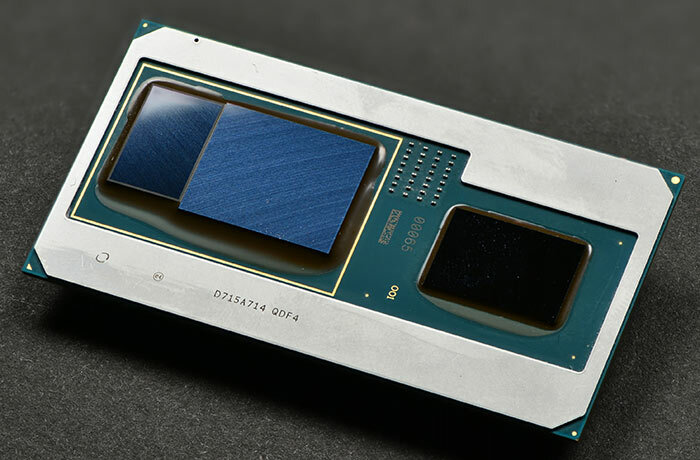 Those packing the new Intel Kaby Lake-G chips, with on-board AMD Vega M graphics, are supported too. Driver version 24.20.100.6094, dated 22nd May 2018, is headlined as being the launch driver for four big PC games. If you have a processor equipped with Intel Iris Pro Graphics or better you can add two further games to the list (as indicated below). In addition driver version 24.20.100.6094 is said to deliver an "overall performance improvement for DirectX 11 games," improved video encoding and decoding in the likes of Handbrake, VLC and others, plus support for PlayReady 4 DRM. Gamers will be happy to know anomalies and bugs were quashed in the following titles; Extreme Tux Racer, SpellForce 3, Far Cry 5, Far Cry Primal, Tom Clancy's The Division (DX12), and others. Intel last updated the Windows 10 graphics driver for the same of processor lines less than a month ago (v24.20.100.6025). You can check out the release notes for that earlier driver here (PDF). It was launched to coincide with the availability of the Windows 10 April Update, delivering Enhanced Dynamic Range (EDR) content and providing better brightness in High Dynamic Range (HDR) mode for 7th Generation processors or newer. Furthermore, that was a 'game ready' driver for Hearthstone: The Witchwood, with support added for Batman: The Enemy Within – Episode 5: Same Stitch. Get lost in the dark fantasy world of Ash of Gods: Redemption and enjoy Neverwinter Nights: Enhanced Edition, Jalopy, Masters of Anima, and Empires Apart. To me it looks like Intel is stepping up the frequency of its graphics driver updates for both general purpose computing and gaming. This shouldn't be surprising - as the firm starts to invest more in graphics as evidenced by its recent personnel acquisitions, its cosying up to AMD, and that it is working on its own Arctic Sound GPU hardware. I would really like to see benchmarks of these iris graphics chipsets so I can get out of the mindset that they are not for anything more than a power user. The surface Pro uses Iris graphics. ~ 50% faster than UHD620, ~ 15% slower than the Vega 8 in the Ryzen 5 2500U.